Self Esteem is the picture you have of yourself. It is how you see yourself. If you have a favorable impression of yourself, if you respect yourself, if you generally feel good about yourself and feel ‘I’m OK’ then the chances are you have a good self-esteem. Head over to the Self Confidence category and grab a boost of that instead! However, if you don’t have a favorable impression of yourself, if you don’t feel good about yourself, if you feel you don’t measure up or feel ‘I’m not okay’ then you most likely have a low self-esteem. You are not alone as many people feel this way. Self esteem and self image are closely linked and each affects the other. This should not be confused with a lack of confidence. Whilst a lack of confidence is common in people with low self esteem they are not the same thing. Confidence has to do with how much you believe in yourself and your ability. Confidence is what enables you to tackle something you may be unsure about. Self confidence is what enables you to keep on trying, because you believe in yourself, even in the face of an apparent failure. If all you need is a healthy confidence boost head on over to the confidence category! Self-Esteem, or rather a good healthy self-esteem is central to our lives. It separates those who will tackle adversity or take on a challenge from those that shy away. It separates; the optimistic from the depressed, a good quality life from a poor quality life and very often, the successful from the unsuccessful people in this world. 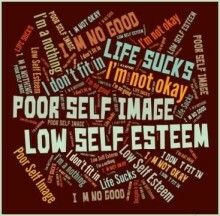 Low self esteem, without intervention, is extremely dangerous. It can lead to a worsening negative outlook on life, repeated failures, poor relationships and an inability to progress in life, amongst other things. Low self-esteem can lead to a feeling of helplessness where one sees little point in being alive and suicidal tendencies. A good, healthy high self-esteem, as you might expect has the opposite effect. People with a high self-esteem; interact positively with others, they face fears or uncertainties are generally happy and enjoy life. If they fail at something they do it over knowing that if they keep trying, they will succeed. And they will probably experience better relationships. If you are or think you are, suffering from a low self-esteem take action. If you have now or ever have had, suicidal tendencies then please seek the assistance of a Medical Practitioner and do not rely solely on the tips we can provide or programs we recommend. If it is not that extreme we can and will, offer a number of tips and tricks and recommend programs. 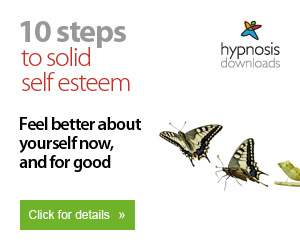 One such program would definitely be ‘The Ultimate Self-Esteem Formula’. This course or program has been written by Dr Joe Rubino, one of the world’s foremost experts on self-esteem. You can get ‘The Ultimate Self-Esteem Formula’ here. Whatever you chose – it is imperative that you Take Action!